As we emerge from the Great Recession, it is clear that our economy must be purposefully restructured from one focused inward and characterized by excessive consumption and debt to one that is globally engaged and driven by production and innovation. A growing chorus of leaders is calling for a new growth model, one that creates more and better jobs by engaging rising global demand and attracting global talent and capital. These leaders recognize that only by harnessing the power of cities and metropolitan areas can we hope to foster job growth in the near term and restructure our economy for the long haul. This new imperative forms the basis for the Global Cities Initiative. On March 21, the Global Cities Initiative hosted a forum in Los Angeles focused on global competitiveness. Speakers and panelists provided context on the position of Greater Los Angeles in the global marketplace and offered insight into how state and metropolitan leaders can work together with international partners to expand global trade and enhance the economic prosperity of the region. 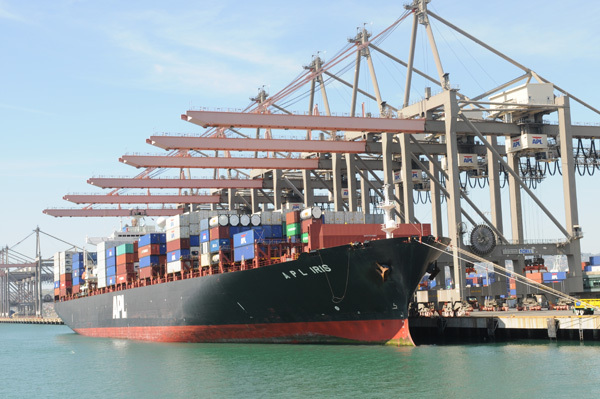 The Port of Los Angeles. 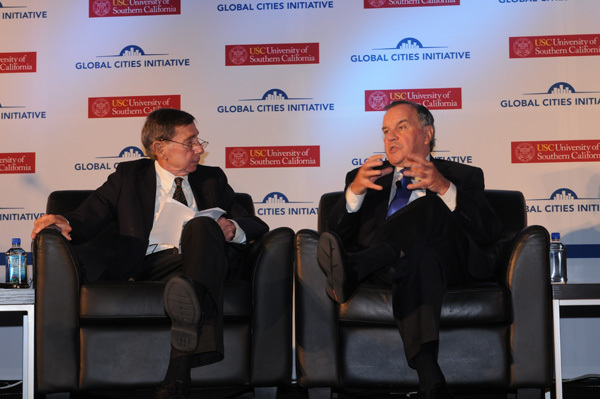 Michael “Mickey” Kantor, former Secretary of Commerce and U.S. Trade Representative, and Richard Daley, former Chicago mayor and Midwest Chairman of JP Morgan Chase, at the Global Cities Initiative event in Los Angeles. 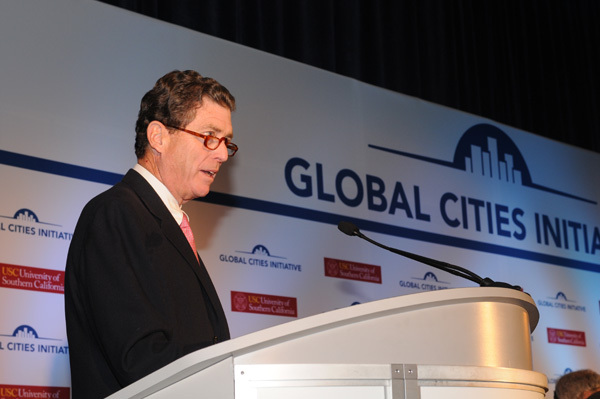 Peter Baker, California Chairman of JP Morgan Chase, speaks at the Global Cities Initiative event in Los Angeles. Vice President of International Business, Pelican Products, Inc.